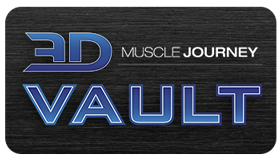 I present to you the final chapter on my deload series of blogs. In the first segment, I outlined why we must deload. Then in the 2nd and 3rd segments, I showed you how to deload; complete with 14 plug and play scenarios. By now I’m hoping you are buying into the necessity of tapers / deloads for maximizing progression. Now I am going to totally “nerd out” and go over the variables in programming for a taper / deload. Furthermore, I am going to cover those variables in the context of a both weight lifting, and endurance sports (for illustrative purposes). Let’s start with the easy one. The one thing you probably never accounted for in your program: fatigue. Fatigue is fatigue whether it’s caused by running, weight training, a bad night’s sleep, or that pesky chore that you had to complete that was more physically taxing than you expected. At a certain point, while you may not actually feel “fatigued” in the traditional sense, you start to feel weak during your training and notice you can’t lift the same heavy loads you have in the past. The reason for this was outlined in the first blog “Why do we deload.” But essentially fatigue from the things I mention above is like a shadow following you throughout your day, overlapping into training. It’s the reason you can’t perform the way you know you can, or to the same level of that PR you hit a few weeks earlier. Thus, potential strength (“fitness” in the two-factor model, AKA what you know you can do) minus what your level of fatigue is, leaves you with your performance on any given day. Whether that be in training, or competition. Volume is to bodybuilders and weight lifters what miles are to endurance athletes. If an endurance athlete incrementally works up their miles to get in better and better shape in order to log more and more miles; so to do we want to incrementally build up volume in order to get stronger and stronger, bigger and bigger. If miles are an endurance athlete’s volume, here’s how we bodybuilders and weight lifters define volume. A Grand total of 9 sets of Legs with an average load of 250lbs. Just like the endurance athlete gradually increases miles, so too do we want to gradually increase volume (or more accurately, volume load should increase if we are getting stronger, and if we aren’t, we may need to increase sets). We can quantify that in two easy examples. Using a fixed load week after week while increasing sets results in an increase in volume load. However, using a fixed reps and sets scheme week after week while increasing load also results in an increase in volume load. Likewise, the endurance athlete increases their miles to get in better and better shape. As a result, the 3 and 4 mile runs that may have been long runs in the beginning of their career end up being their short runs over time. Likewise, we too will experience that as our strength increases. Those 400lb leg presses for 3 x 3 are our low volume, heavy work now. In future years though, those same 400lb leg presses will be for 3 x 8 or our higher volume, lighter work. However, when it comes time to decreasing volume in a deload, like the endurance athlete decreases miles, so too do we need to decrease volume either via sets or even in some instances loads. Increasing an endurance athlete’s miles in a systematic and gradual fashion increases their fitness. Likewise, increasing resistance training volume in a systematic fashion builds your strength (through accumulating deliberate practice and hypertrophy). However, training also produces fatigue, and your Fitness AKA your Potential Strength, is your hypothetical strength if you never accumulated any fatigue from training. Think of your Potential Strength as an imaginary place where you could train, at your PR levels, without any fatigue. In this perfect world, adding volume would result in predictable increases in strength and hypertrophy. As much as we would love to be able to train in this imaginary place, it can’t be done, which is why fatigue management is critical to unlocking your Potential Strength at specific times in order to reach new PR levels of performance whether it be from training or peaking for competition. Performance AKA Expressible Strength, is the real world strength you and I have at any given time. Meaning, this value might be near your Potential Strength if fatigue is very low. However, Expressible Strength could be much lower if you are highly fatigued. This is the real world we live and train in; the reason why we are not the same athlete when we step in the gym for training every day in a predictable fashion. We’ve all experienced a day in the gym where lifting a load for certain number of repetitions we’ve done before just doesn’t seem possible on that day for whatever reason. Often, that “whatever reason” is fatigue. Let’s use the arithmetic I outlined in my “Why do we deload” blog as an analogy. If your potential, because you have done it before, is to bench press 225lbs for a set of 10, we will assign a random value of 10 for your potential strength (ability to bench press 225lbs for a set of 10). Remember though, fatigue takes away from your potential on a day to day basis. So if you walk into the gym hung over, or lacking sleep, or particularly sore from another training session, your random fatigue value is pretty high, perhaps a 6. If 10 is your ability to bench press 225 x 10 and 6 is your fatigue, your performance on the bench press that day is a left-over value of 4: 10-6=4. Although this is an imaginary situation and these are made up numbers, in this hypothetical situation you may not be able to bench press 225lbs for 4 on this day. However, say you waited a day and let the hangover dissipate, the soreness from that session decrease, or had a good night’s sleep, then your fatigue may be cut in half from a 6 to a 3. Now your performance is a value of 7. Although you may not be able to bench press 225 for 10 reps, your performance will still be high enough that you can at least train with 225lbs for a decent session. Point being, the key to making maximum progress over time is to intelligently mitigate fatigue through deloads, so that more time can be spent training with challenging loads. As a total side note, but important for programming consideration, is the final variable: intensity. There comes a point in time when an athlete must train at challenging levels. For the endurance athlete, an important part of progression is the speed at which they complete their distance or event. In order to do that, the 5 miles that used to take 35 minutes to complete must be done faster. So, for competitive lifters, the 225lbs for 10 reps is akin to the endurance athlete completing that 5 miles in 35 minutes. That will inevitably get easier and easier. Through training to shorter distances with more speed, the endurance athlete will eventually be able to complete the 5 miles faster thus, increasing their fitness. So too for lifters, we must at times train to lower rep targets with more weight. Strength will then increase and eventually the 10 reps will be able to be done with 240lbs. This is especially important when you consider that the direct result of us lifting weights is getting stronger. Hypertrophy is a part of that increase in strength. Therefore, if we desire to continually get bigger and more muscular, knowing full well that we have a genetic ceiling, strength must increase in order to build the same amount of volume but with greater loads. Manipulating intensity when deloading/tapering is secondary in importance to dropping volume. Therefore, it can be left alone, in many instances, while dropping volume through other variables like total sets. An endurance athlete will often times run at the same speed all the while dropping the distances from 10 miles to 7 miles, then from 7 to 4 and so on. We can do the same with deloads and often times do this when peaking for a meet. The loads will be left alone while bringing down the 240lbs on bench press from 10 reps to 7 reps. Then from 7 to 4 and so on. Then once the fatigue dissipates guess what? Performance increases, fatigue may be damn near 0, and on that day on the platform, you might be able to visit that mythical place where PRs are had every time you touch the bar. I’ll leave you with that final thought of the importance of deloads to ponder! Loved the series on this! I have a question that has been confusing me. How can you explain someone who is consistently making strength gains in rep ranges between 8 all the way up to 20 reps. Have done high volume, low volume etc. Diet is dialed in. Gaining wait. Sleeping. Etc. But actual measurable hypertrophy isn’t taking place? Is it possible to recover from a strength perspective but not from a hypertrophy one? I personally can make very consistent strength gains. Adding reps and then weight, but no measurable hypertrophy takes place.